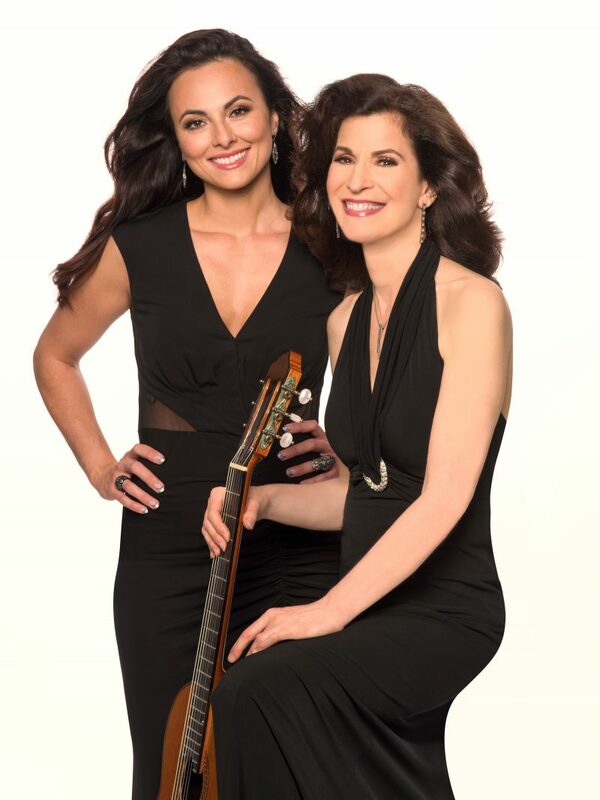 Sharon Isbin’s name is synonymous with classical guitar, and while it is the style for which she is best known, her repertoire extends into a remarkable network of artists and projects, from symphonic maestros to the hierarchy of rock and roll. An award-winning virtuoso, she has performed as a soloist with over 170 orchestras around the world, appeared on television programs, performed at the White House, and was the subject of Sharon Isbin: Troubadour, an hour-long documentary about her life and work that aired on over 200 PBS stations. 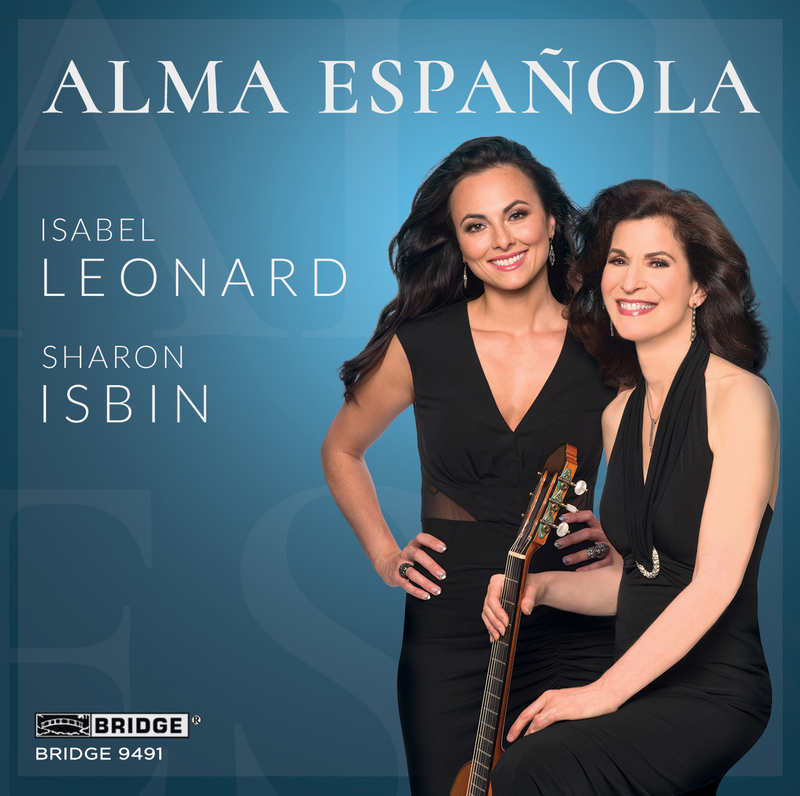 Her catalogue includes close to 30 recordings, including her latest, Alma Española, for which she partnered with internationally renowned opera singer Isabel Leonard for a first-of-its-kind art song project. The album’s producer, David Frost, has been nominated for a 2018 Grammy Award as Producer of the Year, Classical. Isbin reconnected with Guitar Girl via e-mail to discuss her new album. The groundwork for Alma Española began in 2014, when you and Isabel Leonard first performed together. When did the two of you discuss making an album? Isabel asked me in April 2016 if we could record June of that year. Remarkably, the hall and my producer/engineer team of David Frost and Tim Martyn happened to be available the same week we were! Isabel and I had already been performing together in tours across the country, from Carnegie Hall to the Kennedy Center, for nearly three years, so we were ready. Did you select material that you both knew and had performed in the past, or did you send songs to each other for consideration? Isabel is Argentinian-American, and has always been drawn to performing Spanish music. One of my greatest passions is performing music from the guitar’s Spanish heritage. In fact, soon after starting guitar lessons in Italy, where my family lived for a year, I would listen to flamenco music, Spanish singers, and of course Segovia, with whom I eventually had lessons. I also had the fortune to meet composer Joaquín Rodrigo and his wife when they invited me to their home in Madrid after hearing my live radio broadcast of his Concierto de Aranjuez as a winner of the Madrid Competition. That was the beginning of our 20-year friendship. Later, their daughter asked me to be the first to record his beautiful song Aranjuez, ma pensée, based on the work for guitar and orchestra he had first heard me play. I also suggested to Isabel that we include the famous song Granada by Lara, and songs by Federico García Lorca, the great Spanish poet who was also a pianist, composer, and arranger of Spanish folk songs. Isabel suggested music by Montsalvatge, we both wanted to do the songs by Manuel de Falla, I added a couple solos, and soon we had a complete program of Spanish art song for our first concert in 2014. Let’s talk about the arrangements — how you stayed true to the originals while also making them your own, and of course arranging both for guitar and voice. Lorca never wrote down his popular Spanish song arrangements. We have them only from a recording he made in the early 1930s at the piano with an Argentinian singer, a few years before he was abducted and killed by Franco’s troops. In arranging them for guitar, it was important to let the lyrics be the guide, using techniques such as harmonics and flamenco strums, as well as varied colors, dynamics, octaves, and rhythms to best complement words, character, and meaning of each verse. Similarly, I used these techniques in my arrangements of the Montsalvatge lullaby and the fast song parodying a drunken dance, and in Granada, which expresses the passion and beauty of that gypsy town (where I once spent an afternoon playing for gypsies in the flamenco caves!). Isabel made wonderful suggestions throughout our rehearsals, which we then had the luxury to road test in over a dozen concerts before recording. What can you tell us about the recording process? Which guitar did you use? Do you have some preferred miking techniques? I wanted to work with the same multiple-Grammy-winning producer and engineer who had done my Journey to the New World and Guitar Passions CDs, as they knew my sound and had years of experience with singers. To give the voice full bloom, Isabel and I recorded onstage together, as if in concert, in a hall with beautiful acoustics and resonance (concert hall at the Academy of Arts & Letters in New York). Microphones were placed at a distance to capture the hall sound, and others close to capture the detail and presence of both guitar and voice. The mic placement afforded enough separation of sound to remix balances later. I used a cedar double-top guitar, with Brazilian rosewood back and sides, built for me by German maker Antonius Mueller. By gluing together two thin cedar soundboards with balsa wood strips in between, Mueller achieves a fast response, projection, clarity, and melting warmth. You stated in a previous interview that “the guitar is an equal partner with the voice” on this album. While the vocals carry the melodies and messages, is the guitar also a vehicle for the lyrics, an interpretive tool that tells the stories instrumentally? I’m able to imitate the lyrical beauty of the voice when playing melodic lines by shaping and connecting the notes, adding vibrato, and using “portamento,” the wisp of sound that connects one note to another as a singer does. This makes the voice and guitar interchangeable at times, and the guitar an equal partner in the melodic and collaborative process. The music is described as “speak[ing] to our perilous political times.” Is there a risk that comes with merging political statements and art? It’s interesting to note that more than half the composers on Alma Española fled from or were murdered by fascist governments. That wasn’t the criteria when we chose the program, but it happened that Lorca was murdered by Franco, Falla offered to hide him and then fled to Argentina thinking he would be next, Rodrigo and his wife fled both Franco and Hitler, and Granados was on a ship torpedoed by a German submarine in WWI following the premiere of his opera in New York City and both he and his wife drowned. The songs on the album are about love, beauty, death, and the human experience, infused with the rich and poignant history of Spanish passion, yearning, nostalgia, loss, and joy. In the press release that accompanies the album, you and Isabel Leonard are described as “citizen artists.” What does that term mean to you, and what are the responsibilities that it brings? Isabel gives benefit performances as well, and has appeared on Sesame Street, reaching and inspiring millions of kids. While you are known as a premiere classical guitarist, your repertoire covers a range of genres, and you work with a broad spectrum of artists. Why is it important to explore, create, and collaborate outside of one’s “comfort zone”? I’m drawn to music that engages me, no matter the genre. It’s been tremendously inspiring to perform and record with non-classical artists like Joan Baez, Heart’s Nancy Wilson, Sting, bluegrass fiddler Mark O’Connor, saxophonist Paul Winter, rock and jazz guitarists Steve Vai, Steve Morse, Romero Lubambo, and Stanley Jordan, among others. I get to play great music that I love but that wouldn’t be possible on my own. And each time I learn and grow from the experience. Similarly, whenever I commission a composer to write for me, I embark on a wild new journey that introduces new techniques and challenges to the instrument. Whether it’s Chinese composer Tan Dun of Crouching Tiger, Hidden Dragon fame, Howard Shore, who wrote music for me to perform in Scorsese’s Oscar-winning The Departed, concerti for guitar and orchestra by Pulitzer Prize winners John Corigliano and Christopher Rouse, or most recently an exciting jazz-inspired work for guitar and orchestra by Chris Brubeck (son of Dave Brubeck), I love the challenge and gratification of creating great new works that expand the horizons of the guitar. During your first summer in Aspen, you were one of two girls among fifty guitar students. Now you are in your 27th year of overseeing the school’s guitar program. How has it changed, how have the demographics changed, and how did you help bring about those changes? The majority of my students in Aspen are still guys. When young girls take up classical guitar, they tend to be from foreign countries where there is a longer lineage of the instrument. Among first-prize winners of the prestigious Guitar Foundation of American International Concert Artist competition, for example, only three guitarists in the last 25 years have been from the U.S., and only four since inception 35 years ago have been women (from any country.) I’m proud that my student Tengyue Zhang won this year. He’s from China and has studied with me at The Juilliard School for the last five years. You perform internationally and teach students from many different countries. How has that informed your worldview? At Juilliard, where I’m the founding director of the guitar program, I’ve had students from over 20 different countries. Many have gone on to become premier players in their countries. Each brings something special from their heritage, whether new works, arrangements, techniques or insight, all of which I find fascinating and which helps the instrument to grow and expand.